At Cove EyeCare, our professional eye care staff will be happy to assist you with your vision needs. We have treatment options available for everyone. 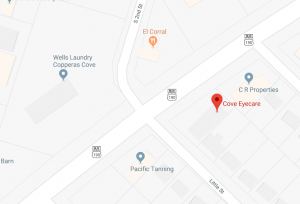 The eye doctors have been serving Copperas Cove, Killeen, Ft. Hood, Lampasas, and the surrounding areas in central Texas for more than 20 years! Our optometrist and team stay on the cutting-edge of technology and offer a wide variety of treatment options for vision correction. If you have any questions about our office or would like to schedule an appointment, we encourage you to contact us today using our short form, or call us directly at (254) 547-2020. 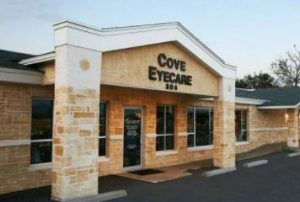 Welcome to our Copperas Cove eye doctor’s office serving Central Texas. We offer eye care services for everyone from children to adults and carry the latest in eye health technology to detect signs of ocular diseases, such as diabetic retinopathy, cataracts, or macular degeneration. Dr. Micheline Young and our staff provide the utmost care, personal attention, and a commitment to excellence. Located in Copperas Cove on the south side of the East Business 190 Highway at the corner of Little St, one block east of Pizza Hut, across the highway from Buddy’s Furniture and Wells Laundry. Welcome to our online Practice! Our team of eye doctors and staff are here to care for all of your vision needs. Contact us today to see how we can help. We’re Proud to Serve Ft. Hood Military Base with Top-Ranking Eye Care!